As the contingent workforce becomes more strategic, it becomes increasingly important to align your contingent workforce programme with corporate goals to ensure acquisition of the right talent at competitive prices. But many organisations find they operate in silos and lack the overall strategy needed to ensure optimal results. Since 1991, PRO Unlimited has been a pioneer in providing leading-edge contingent workforce programmes for its clients. PRO Advisory Services draws from this unparalleled experience and thought leadership to assess the practices and unique challenges faced by clients representing a wide range of industries. 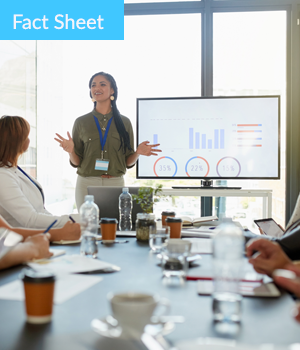 This Fact Sheet outlines the holistic approach that PRO Advisory Services takes when evaluating a client’s contingent workforce spend and practices.